Our 1st XV girls' team have successfully defended their 2013 rugby title. 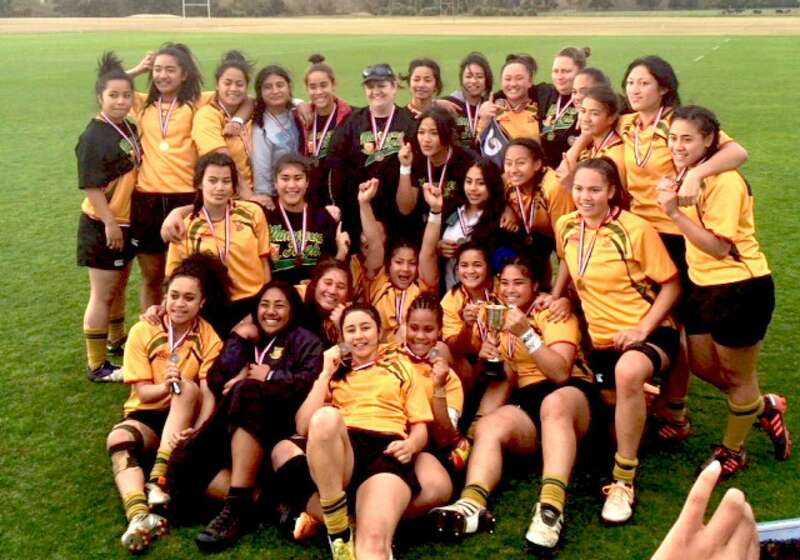 The team met the Franklin Regional Team on Monday in the Counties Manukau Secondary Schools girls final. The Franklin team are a composite team of high-calibre players from Wesley College, Pukekohe High School and Tuakau College. Manurewa High School's Head of Sport, Melina Martene, described the final as "tough - one of the most physical I have seen in quite some time". Manurewa High had some idea of what they would be up against in the final, having played Franklin twice during the season. In the first round the teams drew 5 – 5, and at end of the second round Manurewa lost 41 – 31. The loss was Manurewa's first of the season, and was used as a learning tool to fuel the team for the Championship. Ms Martene explains how the team used the round 2 loss as a positive. "We always reflected and spoke about every game at the next training. Whenever we won the feedback and thoughts were limited, but as soon as we lost it got everyone in the team thinking and talking. The players became more self-aware and analytical of the opposition and themselves. We identified Franklins strengths and weakness, and where our opportunities lay. Just as importantly we made sure our back yard was tidy. We worked hard for the two weeks prior to the final adjusting strategies and tactics to suit what we knew we needed to do and it worked. We knew we had to improve at the breakdown and with our line speed on defence. We knew if we could shut down their powerful forwards, retain our ball at the breakdown, be patient and keep to the game plan things would work out." Things did work out, with Manurewa convincingly winning 24-12. 12 Harmony Tinomana Papali’I – MHS MVP of the final.